20oz. (625ml.) Part of the Japanese limited edition artisans collection. 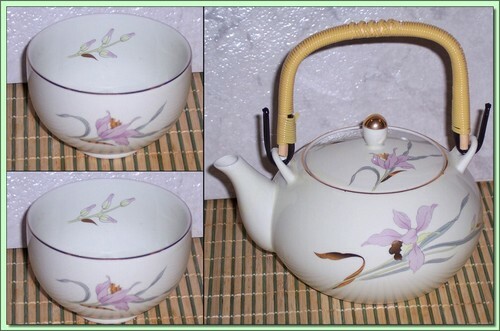 This ceramic pot features a delicate lily pattern on a light background with gold trim.